Keep in mind that you are required to implement follow-up and dissemination activities after the training. Travel cost reimbursement depends highly on you and your successful implementation of follow-up and dissemination activities. The program is super intense, we work from the morning till late evening, in order to create the maximum opportunity for those who are willing to learn and create. The build-up of the training is similar to a sports training, every day we do a bit more and we use the previous experiences as a common base to build upon them. The vision of the project is personal and creativity development. 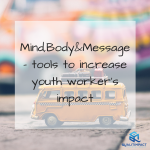 The goal with this project is to offer a possibility for youth workers to develop their impact and to have an experience to create something out of nothing. During the courses we will use the structure of what we call a basic synergy training. By becoming more aware of our patterns and habits we have a chance to create space for something new to enter to our lives. 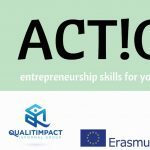 ACT!ON is a training course for youth workers, young leaders and young entrepreneurs. 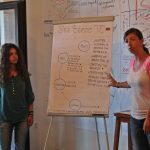 In this training you have the chance to experience yourself as a youth leader, to improve your monitoring skills, and to find out how you can create your own impact. We are inviting people who are willing to act towards their goals and dreams! Participation contribution to the project cost requested: 70 EUR paid in cash upon arrival at registration in place.